Beer, Salsa, and Cowboy Boots. Welcome to Texas. We made it home to Texas for Christmas this year and took advantage of the opportunity to explore many of the great new beers that are coming out of the Lonestar State. Just like the rest of the country, Texas has had an explosion of craft breweries in the past few years. When I left Texas in 2007, Fort Worth Brewing Company had recently closed its doors, Rahr & Sons was struggling to keep its doors open, Real Ale could rarely be found outside the Hill Country, Live Oak wasn’t even bottling, and Saint Arnold was the only Texas craft beer you could easily find all over the state. But holy hell has this changed. On day one we picked up a good selection of Rahr and Lakewood beers. Goatman, surprisingly, didn’t taste like goat or man. On day two my dad and I brewed up a version of Austin Homebrew‘s 20th anniversary stout. We also enjoyed a bit of his recent imperial IPA. Looking for a holiday activity to do with the family? Brew some beer! I forgot how quick and easy extract brewing can be! Later that day Tony (@BeerPedaler), clued us into a rare keg of Oscar Blues’ Tequila Barrel Aged Gubna, going on tap at The Bearded Lady, an incredible beer bar and eatery in Near South Fort Worth. All I can say is that my next IPA is going into a tequila barrel, and I think an entire pig went into that pulled pork sandwich. The Bearded Lady is the best new place in Fort Worth, and if you need any other recommendation after “Tequila Barrel Aged Gubna” then you need to stop reading now because this blog is not for you. The world has found a use for tequila that doesn’t lead to me taking my clothes off. At some point I stopped paying attention to how many days it had been and we went to Martin House Brewing Company. Tours are 2-5pm every Saturday, cost $10, and come with three pints of great beer. To top it all off, Tony’s (@BeerPedaler) band, Shotgun Friday, was playing while we were there! Now this is an incredibly small operation, but they just opened this year. 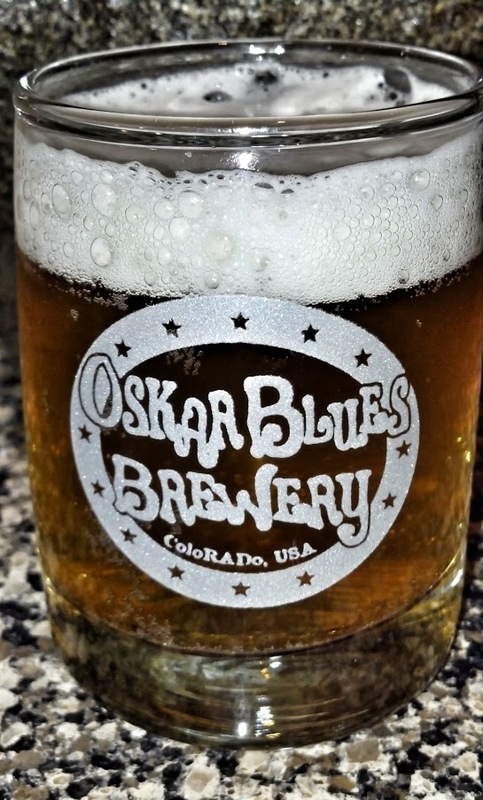 The owners built the brewery themselves, and I have it from a reliable source that they are already cash positive. Martin House Brewing Company, They Put a Bird On It! Martin House has a great Pretzel Stout that is made with sourdough pretzels. I was really surprised at how the salty pretzels worked so well with the chocolate and roast. Some of their other beers need some work. River House had an old lemon flavor and too much carbonation, and Day Break had some odd urinal cake aroma but was a refreshing drink. Their Imperial Texan on the other hand is their flagship beer and it is a hop lovers dream. I could smell the hops in this beer as the bartender was pouring it from over five feet away! If you want American pine, resin, and citrus, then this is the beer for you. If you’re in Texas, then you have to try it! 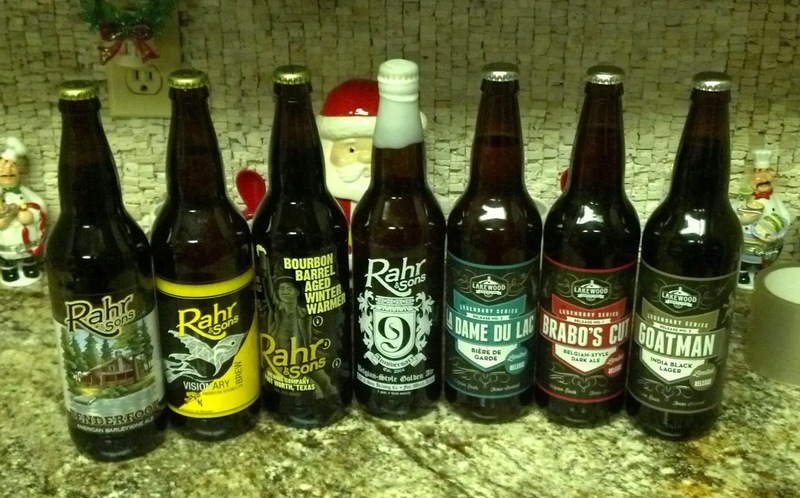 We also took a great haul from Rahr’s later that week, but I forgot to take pictures! I also may, or may not, have ended up with a flask of uncut bourbon that may, or may not, have come out of the bourbon barrels that a certain brewery may, or may not, have used to age their Bourbon Barrel Aged Winter Warmer! 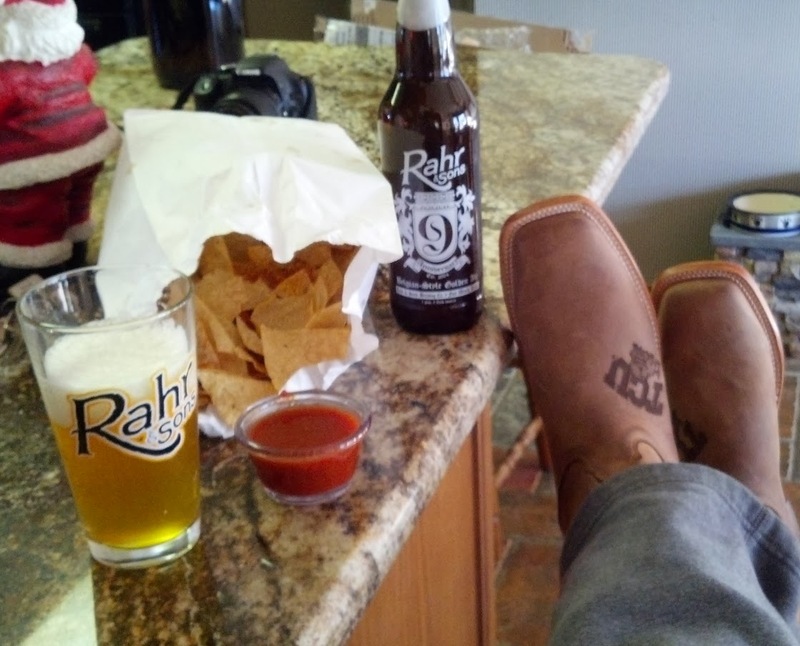 Rahr & Sons Beer, Dos Gringos Hot Sauce, and TCU Branded Justin Boots. Welcome to Fort Worth, Texas! – Revolver’s Blood and Honey – A spiced wheat beer with blood orange zest and Texas honey. Incredible! – Martin house Imperial Texan – When you are in medical need of hops, this is your beer! – Lakewood’s The Temptress – Silky smooth, big, roasty, malty, and sweet. I finished this and couldn’t figure out why it hit me so fast. Then I found out that it’s a deceptive 9.1% ABV. Watch out for this one because she will fool you! – Rahr Bourbon Barrel Aged Winter Warmer – The description is in the name. I wait all year for this beer and make my family fight others to the death to get it for me. Mmmm… I may have to go back to Texas just for these! You should! There are so many great breweries popping up in Texas. I didn’t even scratch the surface with this list! It’s true. He made me kill three people last year for a six pack.